The CL-8 features eight large, rotary faders to control levels of input-to-master-track (L, R) and input-to-aux-track levels (post-fade). With its tactile buttons, control over each inputs high-pass filter, limiter, polarity, mute status, and routing is quick with visual indication on the CL-8 front panel. The CL-8 provides shortcuts to route inputs to the left/right mix tracks and Aux1 and Aux2 tracks. The CL-8 firmware adds additional record tracks to the 788T. These new tracks can be monitored in headphones, recorded, and routed to 788T outputs. 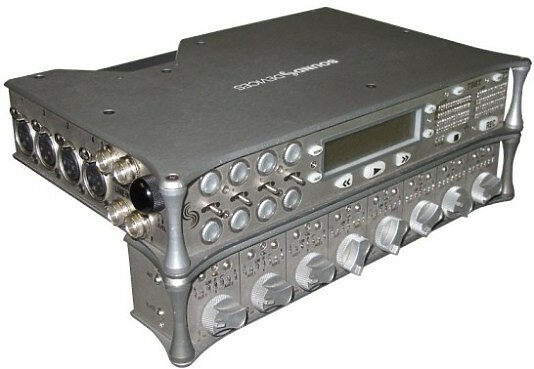 Hire the CL8 Mixer Controller for Sound Devices 788T from Procam. Best service and rental rates for the CL8 Mixer Controller for Sound Devices 788T and all cameras, lenses, sound, lighting and grip.